Guus Hiddink, who led South Korea to the 2002 World Cup semifinals, voiced his desire to play an advisory or another role for the national football team if he receives an official request as an honorary citizen of Seoul. 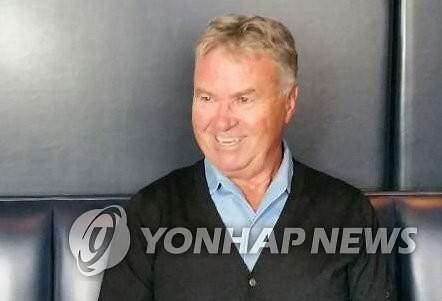 "Whether it's a coach or a tech advisor, I'm willing to do what I can," Hiddink told South Korean reporters in Amsterdam, describing South Korea as his second home. Thousands of fans have signed up to support a civic petition launched on the website of the presidential office to bring him back as national football team coach. 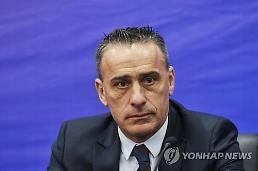 The petition came after South Korea, led by Shin Tae-yong, clinched a spot at next year's World Cup. The 70-year-old said he would consider going back to South Korea if it receives an official offer from the Korea Football Association (KFA). But he said he would prefer an advisory role at this moment because he promised to serve as a commentator for US sports cable channel Fox Sports during the World Cup in Russia. "As of now, it will be difficult to serve as a national team coach. I think more of an advisory role," he said. He said he would not care about his reputation being damaged because he loves football, but he expressed doubts about South Korea's performance in Russia, saying "time has changed a lot", requiring a new style. "It's very difficult to repeat the success of 2002." Hiddink said he would respect the KFA's decision to retain Shin who coached the final two matches in Asia's final qualifying round after taking over the helm from Uli Stielike sacked for poor performances. The KFA has said it could ask for his advice if the national team needs help.